Gilbert, AZ, USA - March 1st, 2019 – Mobile Integrated Solutions, LLC, the leader in mobile interfaces and cloud technology for home automation products since 2008, announces MobiLinc X; a new modern app for ISY series controllers. The MobiLinc family of apps targets the end user and supports real-time video/audio streaming from thousands of IP cameras and all major home automation communication technologies including INSTEON, Z-Wave, ZigBee, X-10. With today's announcement, MobiLinc X joins the MobiLinc family in offering a new modern app for the ISY with speed, security, and the family in mind. 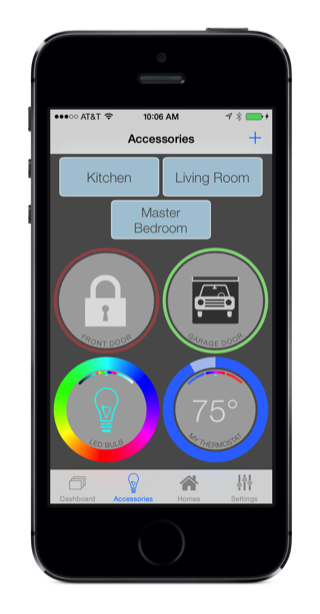 With MobiLinc X, ISY users now have a modern app for home automation control and supports lights, thermostats, garage doors, doors, outlets, irrigation, leak sensors, motion, scenes, programs, variables, fans, rooms, ELK security, weather, and ONVIF certified cameras. MobiLinc X is deeply integrated into the MobiLinc Connect cloud platform which offers instant startup status and control of any items on the ISY. In addition to instant startup, MobiLinc X is feature identical between iOS and Android and fully syncs all changes and customizations between all mobile apps on the users account in real-time. Wes Filleman, CEO and owner of Mobile Integrated Solutions, is enthusiastic about MobiLinc X and what it offers for ISY users saying, "MobiLinc X is huge leap in the user experience for the ISY. Not only is MobiLinc X a slick new modern app, previously, all mobile apps including the built-in Admin Console must sync manually each time with the ISY before allowing the user access to their devices, scenes, etc. Since we've fully integrated MobiLinc X with our MobiLinc Connect platform, all syncing disappears which allows our users to instantly startup MobiLinc X and immediately see/control their devices with real-time status. Previous generations of MobiLinc offered many in-app purchases and subscriptions which made purchase decisions more confusing than necessary. MobiLinc X simplifies all pricing into three subscription tiers depending on features needed which is great for simplicity and for multi-member households." Mobile Integrated Solutions, LLC is committed to developing intuitive and reliable applications for the expanding mobile computing platform focusing on home automation, energy consumption, and commercial applications. Previously MobiLinc was featured by Verizon in several prime-time ad slots over the Black Friday holiday in 2012. The ads ran on FOX, ABC, NBC, CBS, MSNBC, Comedy Central, E!, and ESPN. This was the second national commercial exposure for MobiLinc behind the national ABC special on home automation in 2010. Learn more at http://mobilinc.com. Mobile Integrated Solutions, LLC Announces MobiLinc Camera Events featured as customer use case with Amazon Web Services. 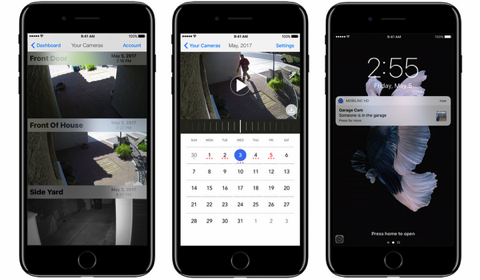 Gilbert, AZ, USA - July 12th, 2017 – Mobile Integrated Solutions, LLC, the leader in mobile interfaces and cloud technology for home automation products since 2008, announces Camera Events featured as customer use case with Amazon Web Services. The MobiLinc family of apps targets the end user and supports real-time video/audio streaming from thousands of IP cameras and all major home automation communication technologies including INSTEON, Z-Wave, ZigBee, X-10. With today's announcement, Amazon adds MobiLinc as a featured customer of the Amazon Web Services "Rekognition" platform. "Rekognition" is a developer service that offers near real-time image processing and vision analysis that can detect thousands of objects, people, and facial expressions in images and photographs. With Amazon "Rekognition" MobiLinc users now have the option to use their existing (or any) IP Camera to pair with the new Camera Events feature of MobiLinc and be notified only when the camera sees a person or a car, suppressing all other sources of motion. Instead of the user receiving thousands of emails from their cameras, users can quickly and cleanly scrub back in time with the MobiLinc apps to see what happened and only get notified on their iOS device in real-time when someone walks in-front of the camera or a car is detected. 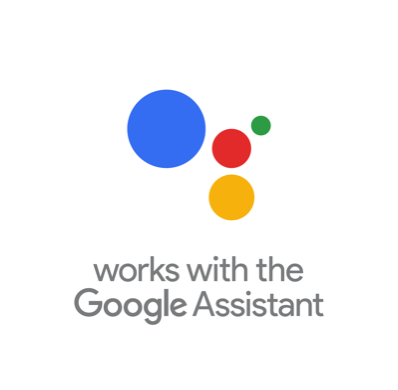 Mobile Integrated Solutions, LLC Announces MobiLinc support for the Google Assistant on Google Home. Gilbert, AZ, USA - May 9th, 2017 – Mobile Integrated Solutions, LLC, the leader in mobile interfaces and cloud technology for home automation products since 2008, announces support for the Google Assistant on Google Home. The MobiLinc family of apps targets the end user and supports real-time video/audio streaming from thousands of IP cameras and all major home automation communication technologies including INSTEON, Z-Wave, ZigBee, X-10. With today’s announcement MobiLinc adds support for the Google Assistant on Google Home product alongside MobiLinc’s Smart Home support for Amazon Alexa offering MobiLinc users a deeper range of choice between different in-home voice assistants to control their home’s lighting and other devices. The Google Assistant is your own personal Google, helping you get things done in your world. Google Home is a voice-enabled speaker powered by the Google Assistant. Ask it questions and tell it to do things. It’s your own Google, always ready to help. Just start by saying, “Ok Google” to get answers from Google, enjoy music, manage your everyday tasks, and easily control smart devices around the home. 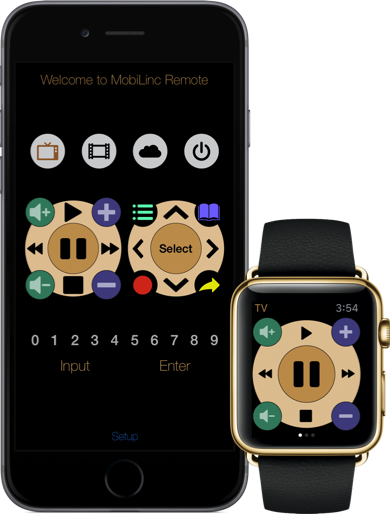 Mobile Integrated Solutions, LLC Announces MobiLinc Remote, a universal remote control app for the iPhone and Apple Watch. Gilbert, AZ, USA - April 24th, 2015 – Mobile Integrated Solutions, LLC, the leader in mobile interfaces and cloud technology for home automation products since 2008, announces a new partnership with Global Caché and MobiLinc Remote Universal Remote Control, a new iOS and Apple Watch app that can simplify control of thousands of entertainment devices from TVs, Blu-ray/DVD players, Apple TV and other network streamers, cable/DVR set top boxes, sound/video receivers, and many others. The MobiLinc family of apps targets the end user and supports real-time video/audio streaming from thousands of IP cameras and all major home automation communication technologies including INSTEON, Z-Wave, ZigBee, X-10, and most recently, HomeKit via the MobiLinc Home app, an iOS app built for iOS 8 and Apple’s HomeKit home automation initiative. With today’s release of MobiLinc Remote for the Apple Watch and iPhone, anyone can setup, control, and simplify their entertainment system utilizing iTach products from Global Caché. MobiLinc Remote is available today through the App Store: http://apple.co/1GbXfNV. Global Caché's products connect almost any electrical device to a WiFi and/or IP network so it can be controlled, automated, and maintained by network-based software. The company offers other connectivity products and capabilities, including IR learning and the award-winning Control Tower IR database, available in the cloud (www.globalcache.com/controltower) to partners, dealer/installers, and end users. Global Caché designs, engineers, and manufactures connectivity products that HTTP, IP, and WiFi enable previously unconnected devices in homes and businesses so they can be accessed, controlled, and automated using network-based software on smartphones, tablets, controllers, and computing devices. In addition to our iTach, iTach Flex, and GC-100 Network Adapter product families, Global Caché, winner of many industry awards, including the CES Innovations 2013 Design and Engineering Honoree award and two prestigious CEPro Product of the Year awards, provides the industry’s first online IR database, Control Tower, winner of the 2015 CEA Mark of Excellence award, as well as IR learner, IR blasters, sensors, receivers, and conversion cables. Global Caché sells through distributors, VARs, and OEMs. For more information on Global Caché and their products and services or to place an order, visit online at www.globalcache.com or call at 541-899-4800. Visit the free IR database in the cloud, Control Tower, at www.globalcache.com/controltower. Mobile Integrated Solutions, LLC is committed to developing intuitive and reliable applications for the expanding mobile computing platform focusing on home automation, energy consumption, and commercial applications. Previously MobiLinc was featured by Verizon in several prime time ad slots over the Black Friday holiday in 2012. The ads ran on FOX, ABC, NBC, CBS, MSNBC, Comedy Central, E!, and ESPN. This was the second national commercial exposure for MobiLinc behind the national ABC special on home automation in 2010. Learn more at http://mobilinc.com. Mobile Integrated Solutions, LLC Announces the first Apple HomeKit app, MobiLinc Home. Gilbert, AZ, USA - September 16th, 2014 – Mobile Integrated Solutions, LLC, the leader in mobile interfaces and cloud technology for home automation products, announces MobiLinc Home, a new iOS app built for iOS 8 and Apple's HomeKit home automation initiative. Current MobiLinc app products use the ISY line of home automation controllers from Universal Devices to bridge the user from an iOS or Android device to an INSTEON or X10 network allowing the user to control their lights, thermostats, irrigation, garage door, energy consumption, and watch IP cameras. MobiLinc seamlessly works over Wi-Fi or cellular data services in tandem with MobiLinc Connect cloud service, to provide real-time access to the user’s home anywhere with internet access. 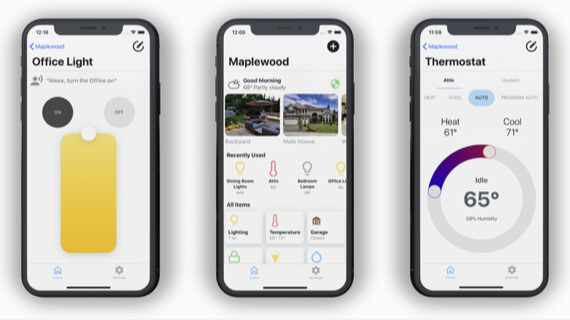 "We're very excited to see Apple throw their support behind home automation with HomeKit," said Wes Filleman, owner and CEO of Mobile Integrated Solutions, LLC. "Our 5+ year background in home automation apps for iOS perfectly sets us up to produce and deliver a HomeKit compatible app. Apple has always tackled difficult problems to solve in order to present a simple interface for the user. HomeKit follows in these footsteps and gave my team a great foundation to build the next generation of automation apps. We can't wait to see what Apple has in store for the future of the home and HomeKit." Previously MobiLinc was featured by Verizon in several prime time ad slots over the Black Friday holiday in 2012. The ads ran on FOX, ABC, NBC, CBS, MSNBC, Comedy Central, E!, and ESPN. This was the second national commercial exposure for MobiLinc behind the national ABC special on home automation in 2010. For more information about MobiLinc Home see http://mobilinc.com. MobiLinc Home will be available from the App Store when iOS 8 is released to the public this fall. ABOUT Mobile Integrated Solutions, LLC – Mobile Integrated Solutions, LLC is committed to developing intuitive and reliable applications for the expanding mobile computing platform focusing on home automation, energy consumption, and commercial applications. Mobile Integrated Solutions, LLC Announces MobiLinc app to be featured in multiple national Verizon Black Friday ad spots. Gilbert, AZ, USA - November 20th, 2012 – Mobile Integrated Solutions, LLC, the leader in mobile interfaces and cloud technology for ISY series controllers by Universal Devices, announces that the MobiLinc app will be featured by Verizon in several prime time ad slots over the Black Friday holiday shopping run. The ads begin airing with the X-Factor on FOX Wednesday the 21st and will run through Monday the 26th appearing on FOX, ABC, NBC, CBS, MSNBC, Comedy Central, E!, and ESPN. This represents the second national commercial exposure for MobiLinc behind the national ABC special on home automation in 2010. MobiLinc uses the ISY line of home automation controllers from Universal Devices to bridge the user from an iOS or Android device to an INSTEON or X10 network allowing the user to control their lights, thermostats, irrigation, garage door, energy consumption, and watch IP cameras. MobiLinc seamlessly works over Wi-Fi or cellular data services in tandem with MobiLinc Connect cloud service, to provide real-time access to the user’s home anywhere with internet access. For a limited time, the MobiLinc Store is offering new users a complete startup kit that includes the ISY controller, MobiLinc, and all the equipment necessary to get started. For more information please see http://mobilincstore.com/starter-kits.html. For more information about MobiLinc see http://mobilinc.com. MobiLinc is available now on the Apple App Store and Google Play.